Bikaner is a city in the state of Rajasthan, India. Rich in history and culture, the city of Bikaner serves to be a major tourist destination in the state. 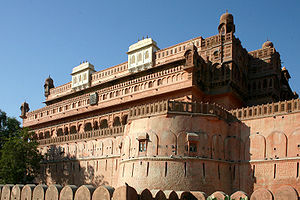 Bikaner is dotted with numerous historic forts, palaces, temples etc. These places of interest attract thousands of tourists from all over the globe. Built in 1593 by Raja Rai Singh, Junagarh Fort is key tourist attraction of Bikaner. The fort is perched at an altitude of about 700 ft and is easily visible from a distance. The fort wall measures about 987 m in length and it is fortified with 37 bastions. The fort also has a moat and two entrances. Beautifully stone carving done in several palaces of the fort is the main highlight of this impressive structure. Anup Mahal, Rang Mahal, Hawa Mahal, Phool Mahal and Chandra Mahal are some of the palaces of Junagarh fort. 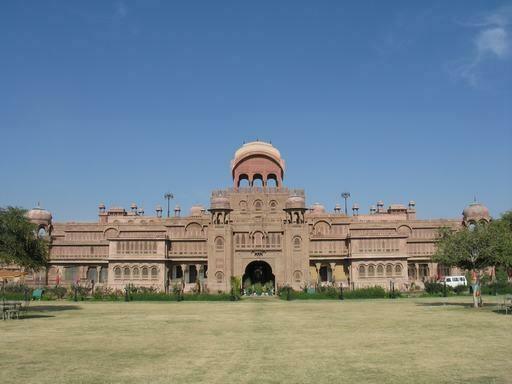 Lalgarh palace is another major attraction of Bikaner. It is located just 3 km away from Bikaner and is known for its beautiful architectural style and lattice work. This imposing structure was built by Maharaja Ganga Singh in memory of his father. A portion of this Palace has been turned in a heritage hotel by Rajasthan Tourism Development Corporations. 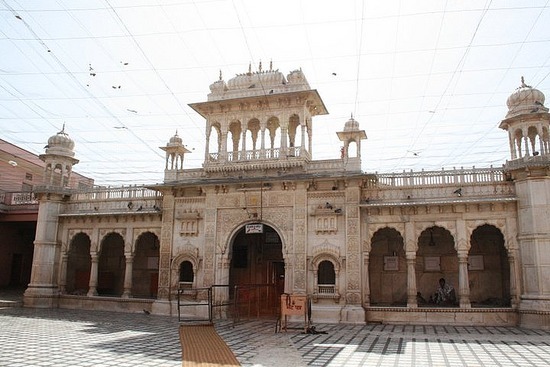 Mata Karni Temple situated just 30 km south of Bikaner is a prominent place of worship in the region. It is over 600 year old temple and is dedicated to Mata Karni who is considered as one of the incarnations of goddess Durga. 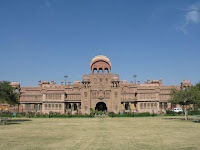 Camel research and breeding farm, Ganga Golden Jubilee Museum and Fort Museum are other places of attractions in Bikaner.